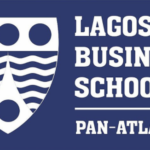 The Lagos Business School was incorporated in 1992. It was initially called the Centre for Professional Communication. 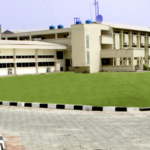 In 2002, the Federal Government of Nigeria approved the establishment of Pan-African University which is now called the Pan Atlantic University in 2002. LBS was the first school of this newly formed University. 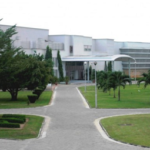 In 2007, the school was ranked among the top 50 business schools in open enrolment executive education by the Financial Times of London, the first institution in West Africa to attain the prestigious ranking. LBS became the first institution in West Africa to be accredited by the Association of Advance Collegiate Schools of Business (AACSB). The school received this accreditation in 2016 and joined the league of less than 5% of business schools globally, to be accredited by this body. In this post, we take a look at how you can enrol for the MBA programme at LBS. But we’re focusing on the MBA in this post. 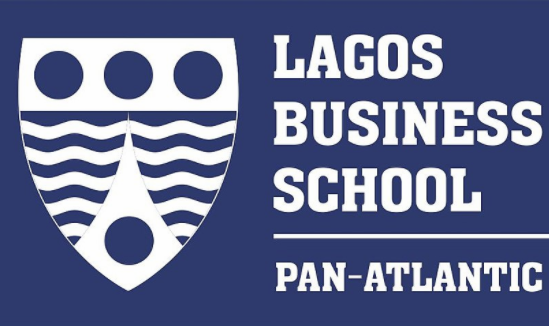 The Lagos Business School MBA programme is a standard programme that is in line with global best practice. The focus of the MBA is to develop responsible leaders for Africa starting from Nigeria. Five credit passes including English and Mathematics at the Ordinary Level for Anglophone countries. Usually the application process takes about four month and it cost N2,511,630 per session and there are two sessions. Typically, the fees cover tuition and course materials and can be paid in three installments at the beginning of each semester. There are also a few available scholarships opportunities. Students are awarded these aids based on financial need and merit. 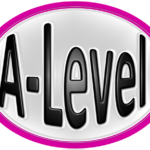 Candidates can apply for a scholarship once they have been offered a place on the programme. The school does not provide accommodation, but you will be provided with information on how to find suitable housing around the school if you request. The programme length is 18 months. You have to complete 15 months of in-class study and at least 72 credit hours of coursework to successfully complete the programme. There are three semesters in all; two semesters in the first academic year, one semester in the final year. 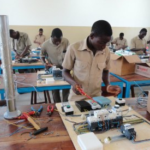 The last semester is an elective semester and students can choose to participate in a student exchange program with our partner schools abroad or offer electives locally. In the course of your MBA, students are also expected to undertake an action learning project. In this case, groups of students will be required to review the operations of a selected small and medium enterprise (SME) and help design what will take the firm to the next level. The Executive MBA also known as EMBA is an intense programme that is designed to prepare potential executives for senior leadership. The programme provides an analytical and integrated understanding of business management which allows participants to apply learning and project work directly to their own organisations, while building a strong network of like-minded colleagues across a wide range of industries. The goal of the EMBA is to create an environment where participants can learn how to handle difficult real-life problems by probing, discussing and working together as a team towards achieving a deeper insight and solving organization problems. The EMBA is best for people in full-time employment in positions as it enables them apply what they learn while they complete their academic programme. The exposure offered by the EMBA is a well rounded experience that gives participants a balanced view of life. The programme cost N3,500,000 per session. The fee is payable in installments at the beginning of each semester, and it covers tuition and course materials. The fee is also subject to periodic reviews. The programme is delivered in six 14-week semesters spread over two sessions for a period of 24 months. A session begins in January and ends in December. Classes hold on Fridays from 1.30 p.m. – 7.45 p.m. and on Saturdays from 9.00 a.m. – 1.45 p.m. In addition, there is a five-day intensive week once every semester, where classes hold from 9.00 a.m – 3.30 p.m. from Monday through to Friday. There are no classes on the Saturday following an intensive week. Generally, Executive education at LBS is comprehensive, drawing on experiences of multinational faculty and participants. The system of teaching ensures that participants gain management knowledge and skills, by employing the case-study method and group-work approach to learning.